Why Do Artichokes Turn Blue? It's happened to the best of us: we buy lovely fresh artichokes (perhaps we even harvested them from our gardens), we trim them for our guests, steam them up, go to pull them from the pot and find them... blue! And by "blue" we're talking about when they turn an actual blue. The color can run anywhere from a lavender-like tinge to a full-on-blue-blue. How does that happen? I mean, aren't there supposed to be no blue foods? At least other than blueberries? 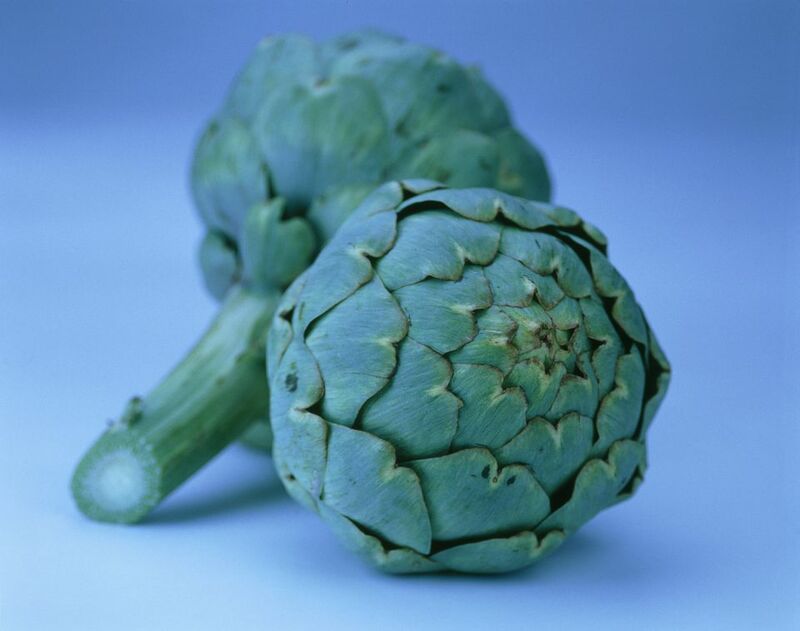 The answer is quite simple: artichokes turn blue when they're cooked in a pot made out of aluminum or iron. Or even a pot with traces of iron in the mix. Are Blue Artichokes Safe to Eat? If this happens to you, know that as with oxidized or browned artichokes, artichokes that turn blue are perfectly safe to eat. You won't notice a taste difference, just a visual one. If you don't want it to happen again, though, cook any future artichokes you encounter in stainless steel, tin, or glass vessels. Enameled cast iron works, too since the enamel keeps the cast iron part from affecting the food—beware, though, and avoid pots with any chips in that enamel, since they pose a blue threat. What About When Artichokes Turn Brown? Artichokes can take on a brownish tinge when left cut and out in the air, which allows the cut surface to oxidize. It's totally normal and can be easily avoided by one of two ways. First, simply rub the cut surfaces of artichokes with a cut lemon. The acid slows down the oxidization. Second, for longer preservation, fill a bowl with a few cups of water and acidify that water with a few tablespoons of lemon juice or white vinegar. Then toss the ​cut or trimmed artichokes into the water until ready to use. And What About That Green Water? If you've boiled or steamed artichokes, you may notice that the water often turns green. Some people worry that the artichokes have been dyed somehow—not so. There is truly nothing to worry about here, the green is simply the artichoke's chlorophyll, that green pigment in all plants that lets them absorb light and turn it into energy. Some artichokes have more than others—it all depends on the variety, where it's grown, and when it's grown—but there's nothing wrong with the green water.